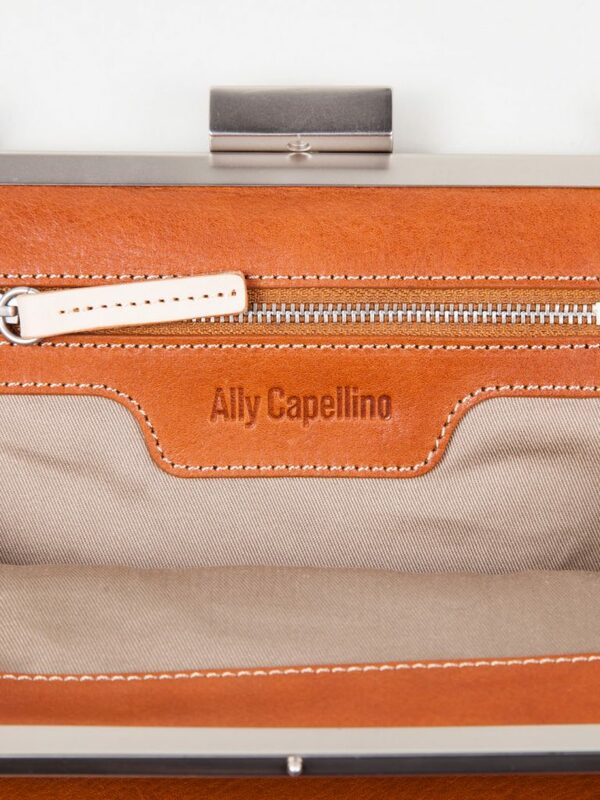 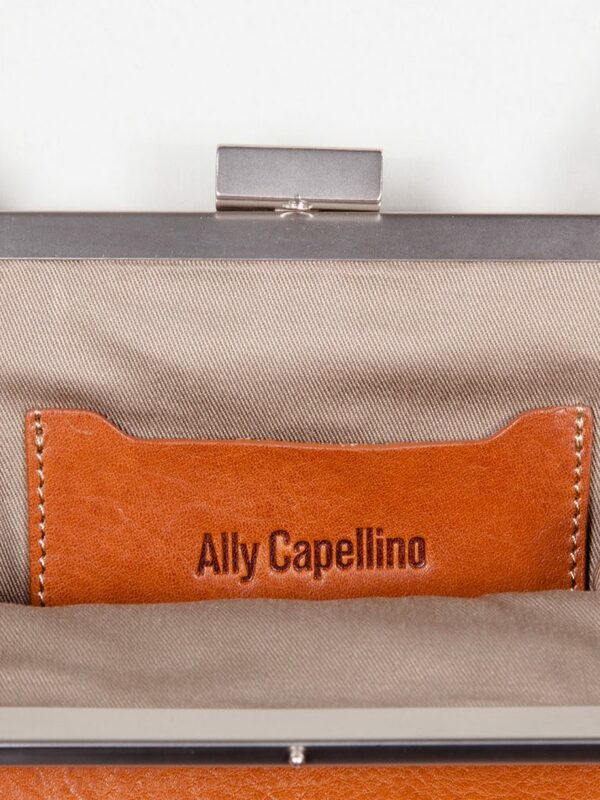 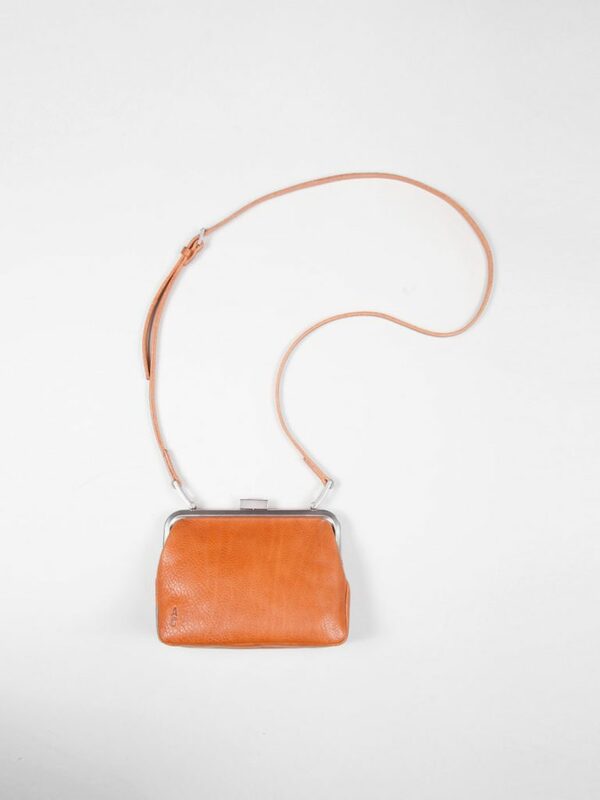 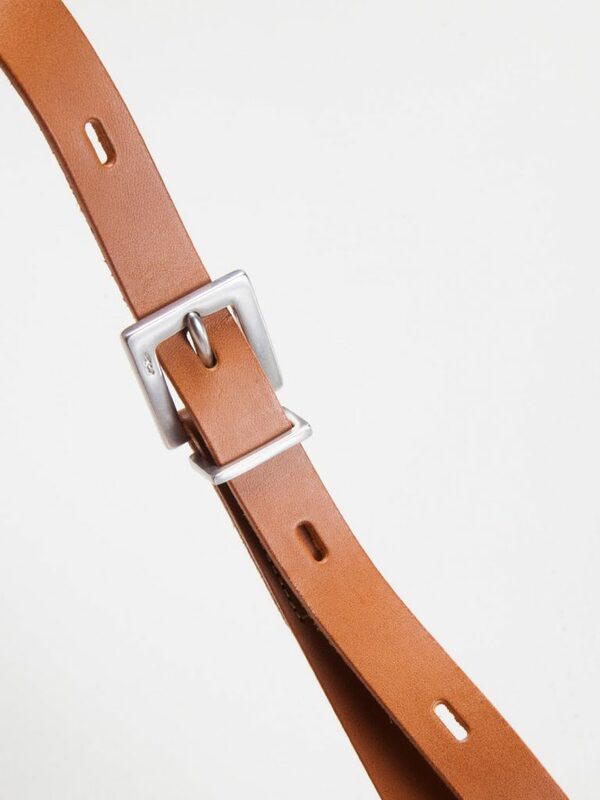 The Ally Capellino fox small calvert leather crossbody bag in tan is made from special vegetable tanned Italian leather, which is washed to create a variable grainy surface. 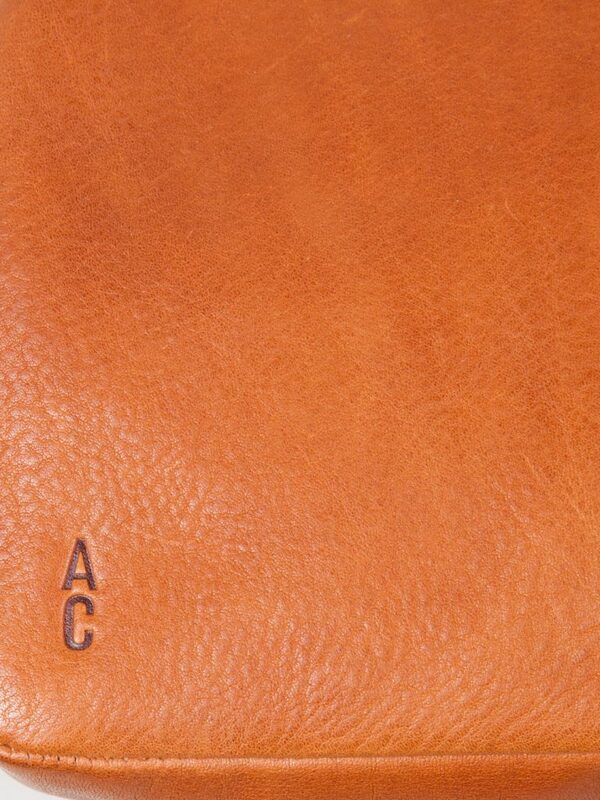 This results in each bag being individual and durable. 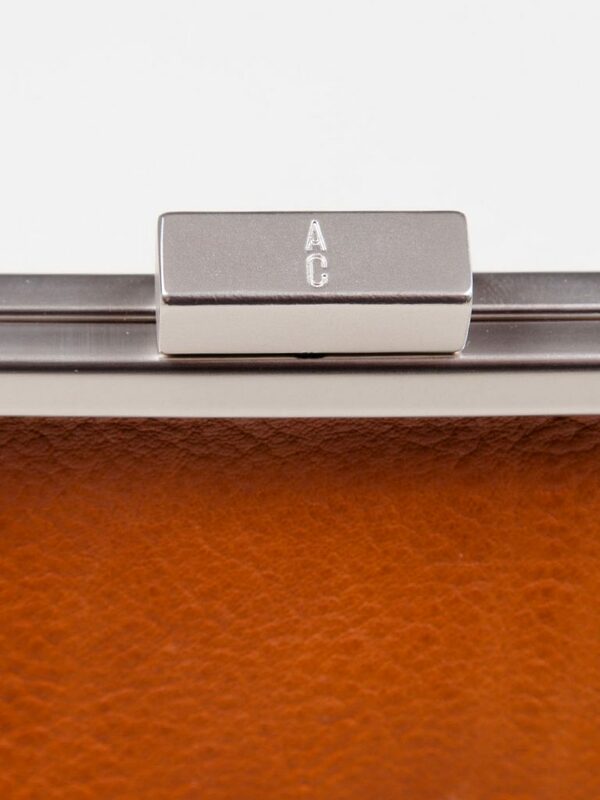 The bag features an easy-lock interior magnet for closure, an interior pocket and a silver metal frame.